Here’s what anyone can learn about doing redesigns right, from the team behind Reddit’s recent overhaul. With 330 million users, Reddit isn’t just the self-described front page of the internet. To many people, it is the internet–a sprawling self-policed portal to the web’s countless topics, takes, and communities. But almost a year and a half ago, the company began to reckon with its aging platform. Its code base was a decade old, making new features laborious to roll out. Visually focused subreddits looked exactly the same as news or political subreddits. While Reddit could go deep into any subculture, it was still too esoteric, and sometimes caustic, to broader audiences. In turn, product manager Andreas Gross built a lean team of five to begin a redesign. Soon after, he looped in Diego Perez, head of design, in what would become companywide makeover. The new design rolled out to users this week with three modes a user can select–a new “Card” view that surfaces pictures up top, a “Classic” view for those who aren’t big on change), and a “Compact” view for power users. And the response from the Reddit community? Pretty decent! Here are three lessons that any company can learn from Reddit’s complex redesign that managed to alienate just about no one. Redesigns and rebrands don’t typically go over all that well at launch because even if they’re good, people don’t like change. And like all companies, it was a concern for Reddit, too. “I think we would have been very naive not to be concerned [about fallout], but I wanted my team to act confidently,” says Perez. So Reddit cut knee-jerk criticism off at the pass by using Reddit itself to keep their users updated about the redesign from relatively early in the process. “[I thought] being able to show things early, but not shifting people overnight, was something that would ultimately make us successful,” says Perez. “We set up a dialog with the community, when we didn’t even have code,” says Perez. This step was as simple as posting their ideas and progress on their own Announcements subreddit. Then, they did outreach with the tastemakers and power users of Reddit to hear their thoughts. “A lot of initial calls were with moderators, because those people are in charge of and empowering communities.” These moderators design much of the style and content on subreddits, so it was vital that whatever new happened in the design worked for them. As a result, much of Reddit’s redesign work was actually on the back-end tools for moderators, which would give them more flexibility to customize their subreddits without special knowledge of code. What Reddit realized pretty early on was that there could be no one-size-fits-all design for its users. So it simply split the design. For the casual user, Reddit is pushing pictures harder than ever before. So they created a Card view–much like what you see on Google, Facebook, or Pinterest. Card view transforms Reddit from a big list into something more like blocks, which give ample space to automatically expand media from its old thumbnail size. The company also sees the Card view as a very flexible solution for future ideas, like pushing comments higher up–making them not just part of a Reddit post, but part of the experience of the very media you’re looking at. Perez wants Reddit to feel even more like a conversation than it does today. 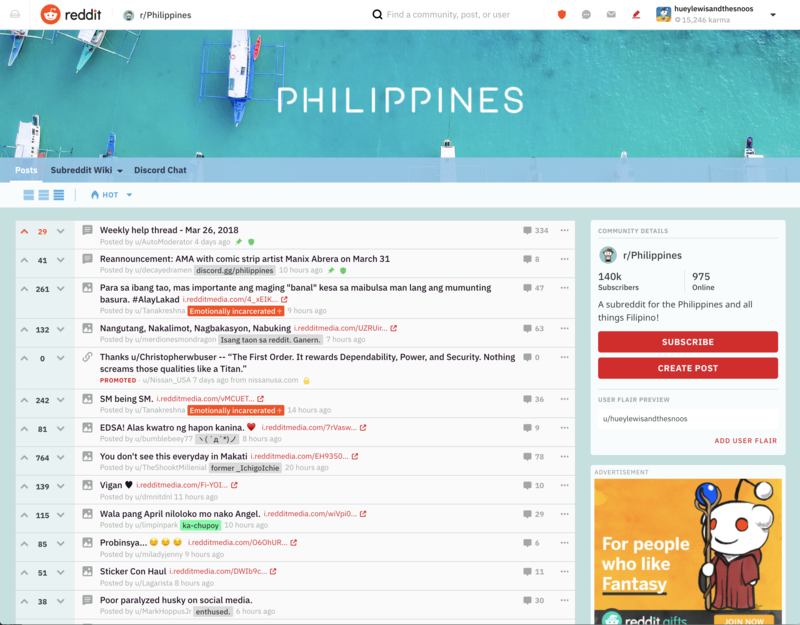 On the opposite end of the spectrum, the team created a Compact view, which is the densest version of Reddit you’ve ever seen, with everything squished away except for the headlines. It’s built for moderators who need information density to scan their own pages quickly. But the real brilliance of Reddit’s redesign might be that users can tune it out if they wish. A third Classic view allows the longtime Redditor to keep the site largely the same, with upgrades to more legible typographic weights that should help them parse content better without ever really thinking about it. Maybe not. But in 2018, as social media is burning itself down, Reddit still feels revolutionary enough.